This day we will visit the past for a little bit and find something positive. It can be an event such as a concert, going on a trip, spending the day with someone you love, someone (famous or someone you know) that was a positive influence on you as a child. I remember the day we brought Bandit home. It was during summer, right around the time of my father’s July 4th birthday, just weeks before the school year. The pup rode in the back compartment of a Chevrolet S-10 between the feet of my little brother and me. My father thought up names and tested them out loud while driving and told stories about old dogs with good names. “All purebred dogs have three names,” he said. We bought Bandit from a farm owned by the Houser family. My mother worked at FedEx as a manager, and one of her drivers mentioned that his dad had some Australian Shepherd puppies for sale. There were so many dogs that I came home with tiny holes around the ankles of my jeans. Amidst the writhing red-black-blue fur, the two-toned eyes and bobtails, we found him. 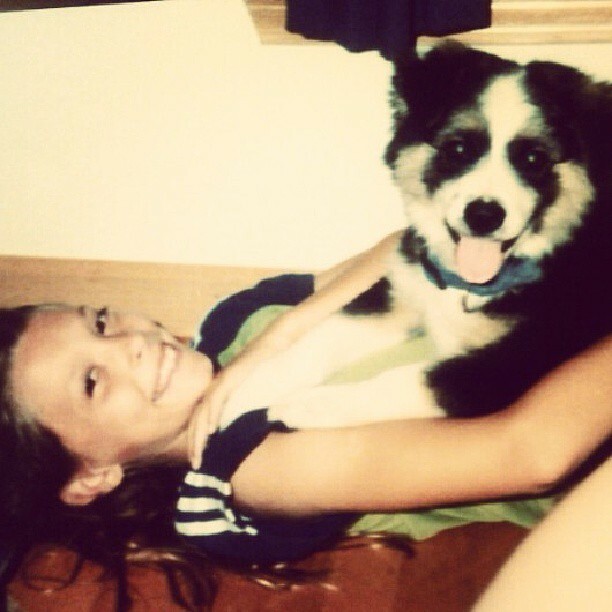 Bandit was not my first dog, but he was the first one I ever cared about. He felt like mine. What is some of the best times you’ve had this year? What are some of your happiest moments of 2013? Feel free to post pictures on this day if you have any and you can share more than one thing. Many of the happier moments experienced in 2013 have been shadowed by painful events. For example, I visited Boston for AWP with a group of students and had the opportunity to attend a Celtics game. (They won in overtime.) A month later, the Boston Marathon bombings occurred. Similar circumstances have continued to form in lessening degrees throughout the year always casting a long and dark shadow behind them. Perhaps my best moment as a reader in 2013 occurred when I stumbled across Simone de Beauvoir. Her book, She Came to Stay, was exactly what my summer needed. I was experiencing the tiring effects of East Tennessee sexism, and a French existential feminist made me feel understood. 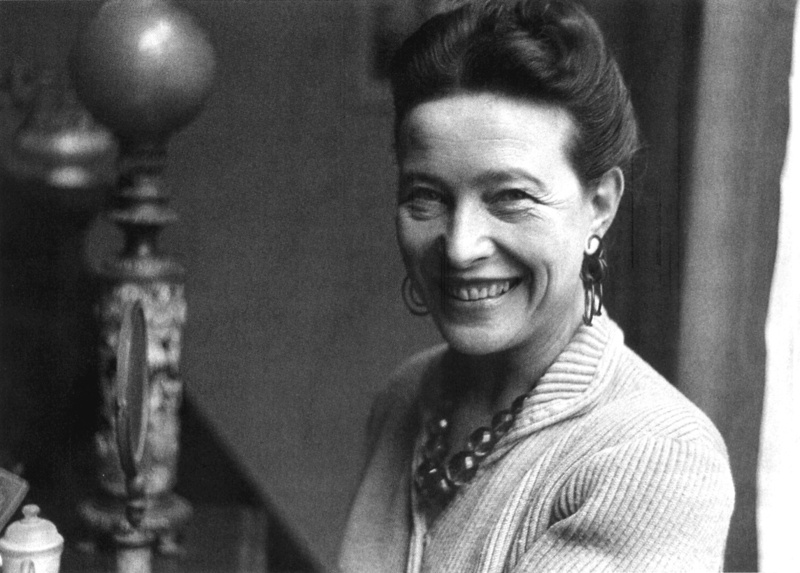 Since then, Beauvoir has become a type of personal hero for me. I love it when writers sweep into my life the way she did. I feel a combination of wonder and anxiety at these discoveries of writers whose words keep me thumbing over page after page and longing to find a similar experience.